All our projects are aimed at uplifting the community and implementing change. We work on the basis of ACCOUNTABILITY, based on attendance and participation in group sessions. Our ECD program offers mothers and caregivers of young children the opportunity to enhance their child's development through play and stimulating learning activities. Weekly classes to assist parents in caring for their babies and toddlers on a physical, emotional and financial level. Mothers are guided in their pregnancies and in the care of their new born babies. Education on topics such as breastfeeding, hygiene, healthy feeding for their babies, family planning and birth control. This therapy is often life changing! We test all our children in our projects to check that their physical and mental abilities are age appropriate. If a problem is identified we work with the child and the parent on a weekly basis at our EDC in Market Street. We support Booysens Beertjies Play School, taking care of our toddlers from ages 3 -5 years. This facility helps working mothers during the day and also supplies one healthy meal a day to all little students. We support the AFFIES Kitchen at Genl. Nic Smit Primary School. The kitchen supplies 350 healthy meals per day to scholars. We have three After School Care facilities for pupils attending the surrounding schools. We provide a healthy meal and assistance with home work. Our care facilities are situated at Genl. Nic Smit Primary, Booysens and our Community Centre. Our trained staff can identify learning problems as well as social or economical need. It is often here where we are able to build a relationship with the child and can offer assistance to families in need. At our Secondary School After School Care facility we also provide assistance with home work, tests and exam preperations. We can identify pupils with potential for further studies or provide tutoring. Our trained staff can also identify social or economical need. It is often here where we are able to build a relationship with the child and can offer assistance to families in need. Most of the children in our groups come from very difficult circumstances. They are often not accustomed to regular meals, beds or a carefree lifestyle. The therapeutic camps equips the kids to handle the difficult situations they may face at home. 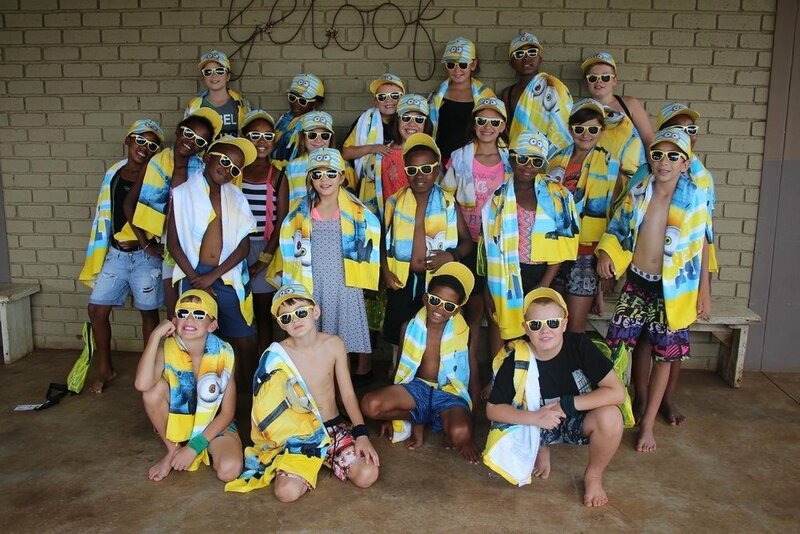 At the holiday camps, we have fun and treat the children in a safe and loving environment. We also have the opportunity to work with them spiritually and really invest in their lives. This project is now running for it's eighth year and is one of our great success stories. Ladies from the community were taught to make the peaks. The peaks are sold at markets and leading Golf shops countrywide. Over the years it has developed into an independant running project. You can order a specific colour or brand. Our teens meet on a Friday and love to do fun activities. Here we have the opportunity to invest in their lives and share God's word. They go on a yearly camp where they can share their experiences as teens with each other and communicate their hopes and dreams to camp leaders. From this platform we can often identify students with potential for bursaries or provide help for studies if needed. These Girls In God's Glory is an active group of young mothers that meet on Wednesdays. They do Bible study, improve their parental skills, do numerous skills development programs and even grow their own vegetables at the ECD in Market Street. We assist in their social and welfare needs. Agape meets every Wednesday and in this group we offer skills development and spiritual growth programs. We can spoil and care for our more mature ladies and also assist in the transformations and life changing events they go through. By building strong relationships, we can assist in their social and welfare problems. We have skills development programs and can often help and identify ladies to participate in our entrepreneurial projects. This is a Bible study for men, but the entire family is welcome. We help with social and welfare needs by providing them with clothes and basic toiletries. In this group job creation, interviews and entrepreneurial skills are topics discussed and we do our best to assist in compiling CV's and direct these men to get further education. Blankets are made by these ladies who have great talent. The ladies are willing to knit blankets on request. In these challenging situations many of our people find themselves, we have a psycolgist, two social workers, two councillors and two therapists that can help and assist in a professional manner. We work with numerous organisations such as Sol-Tech, F&O and Aros to assist with further education and skills development. We arrange bursaries through private individuals as well as companies such as Helpende Hand and Atterbury Trust. Talented ladies are doing mending to the clothing donations we receive for which they are being compensated. We also have a couple of stay at home moms that earn an income by mending clothes for the community or making items which they sell at numerous markets. 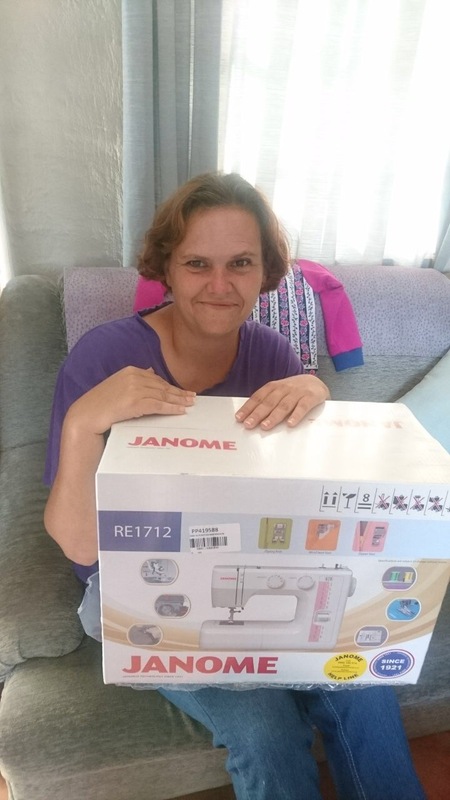 By donating a sewing machine (new or used) you can assist a stay at home mom in supplementing her family's income. Contact Kika for 072 899 4311 for more information and to get involved. We are very proud of our freshly baked biscuits from the Eleos Kitchen at the Community Centre in Wilhelm Street. These are made by ladies from the community and sold to companies or individuals. For just R90 for 1,5kg this is not to be missed. We collect donations within the Pretoria area and provide much needed transportation to our ELEOS community to essential appointments.